Women who suffer from the strong urge to urinate but do not respond to standard medication may find relief from a Bladder Botox injection. That is right, the same Botox that is the brand name for botulinum toxin that is used in aesthetic treatments can be used to relax the bladder to relieve urinary symptoms. 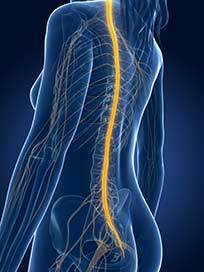 Sacral nerve stimulation also referred to as sacral neuromodulation, is a medical procedure that utilizes electrical stimulation (InterStim Therapy) to transmit mild electrical stimulation through a small wire to the sacral nerve. This therapy is used to treat urinary incontinence, frequency and retention. When a woman has an abnormal Pap smear a gynecologist may perform a colposcopy, which is a cervical biopsy taken from a suspicious tissue for evaluation. The specimen will be sent to a laboratory where a pathologist will examine the specimen and send the results to your gynecologist who will then determine if further treatment is necessary. 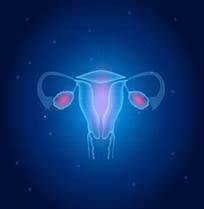 Women who are experiencing excessive menstrual flow from the uterus a procedure called endometrial ablation can be performed to reduce or end the blood flow. Novasure® is an FDA approved procedure that the Rosemark gynecologists can quickly be performed within our office. A Loop Electrosurgical Excision Procedure or LEEP for short is a procedure used to remove abnormal cells from the cervix. LEEPS are generally performed when a Pap test or a colposcopy identifies cells that are abnormal but not cancerous. Typically the cells are viewed as precancerous. As a permanent form of birth control, tubal occlusion is a procedure to consider. There are three methods for women through which this method of birth control can be performed to protect against pregnancy.